Solution Paks | Supporters | Join Us! | SPECIALS | Ordering | Search | JOBS | Contact Us! Made By Natural Resource Professionals for Natural Resource Professionals! 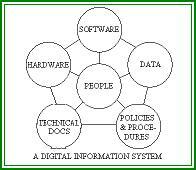 provides the foundation, framework, and glue for an All-In-One Natural Resource Information System! good for all sizes of organizations (especially small to mid-sized ones with small I.T. departments)! ties together 200+ Forestry/Natural Resources-related apps(including 50 commercial apps)! can be easily modified to include apps/datasets/docs that you are currently using! helps you quickly and easily find/use/manage 200,000+ Natural Resources datalayers! 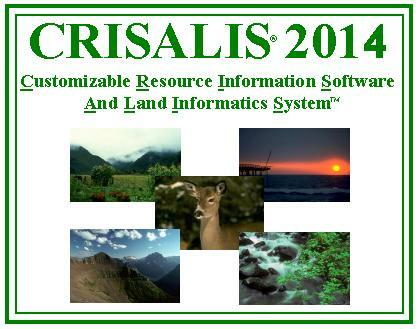 puts 200,000+ Natural Resources-related technical documents at your fingertips! includes 10,000+ pages of valuable Natural Resources technical documents (in digital format)! includes I.R.I.S. (R) FlexAllTM Database Design that helps structure/use/manage data! provides easy-to-use, customizable menus with SCORES of features and benefits! helps you manage/conserve Natural Resources, as well as work faster, cheaper, and smarter! has PC side for Windows PC's and Handheld side for DOS Handhelds (Windows Handhelds soon)! has Data Mgm't, Mapping, Forestry, Sawmill, Surveying, Natural Resources, and Main/Utilities modules! buy the whole system or module-by-module (each module comes with 25-35 vetted apps)! full system comes with 150+ apps pre-installed on 32 GB flash drive - simply "plug and play"! everything is 100% LEGAL and comes with 90 DAY FULL Satisfaction Guarantee! * Use PayPal Credit or Marlin Financing To Buy! * Online Demos Available By Appointment! * Includes PC CRISALIS Software Setup, 1 Hour Training/Module, and 1 Year Support! * Value Of 150 Apps + 200,000 Datasets + 200,000 Docs = over $250,000 (really)! * Saves $10,000's (costs pennies per app, dataset, document, etc)! Note! Confidential Information – feel free to share with your colleagues, but not with outside entities in the Computer field.